Coach Dylan Kerr has confirmed via his social media accounts that he did not say Muguna and Musa Mohamed would never play for Kogalo while he was coach. Gor Mahia head coach Dylan Kerr has quashed claims that his former players Musa Mohammed and Kenneth Muguna are unwelcome returnees to the club. The duo left Gor early this year in search of greener pastures to Albanian side, FK Tirana but failed to adapt to the Albanian league where Musa was the first casualty returning home six months after the switch before Muguna followed the five months later. The exit of Musa at Gor has since turned to be a blessing for Joash Onyango who broke into the first team as his replacement and has soared to win the heart of Harambee Stars head coach Sebastien Migne, who prefers to pair him alongside Musa at the heart of the defence. On the other hand, former Tusker midfielder Humphrey Mieno easily filled Muguna’s shoes, thanks to his vast experience. 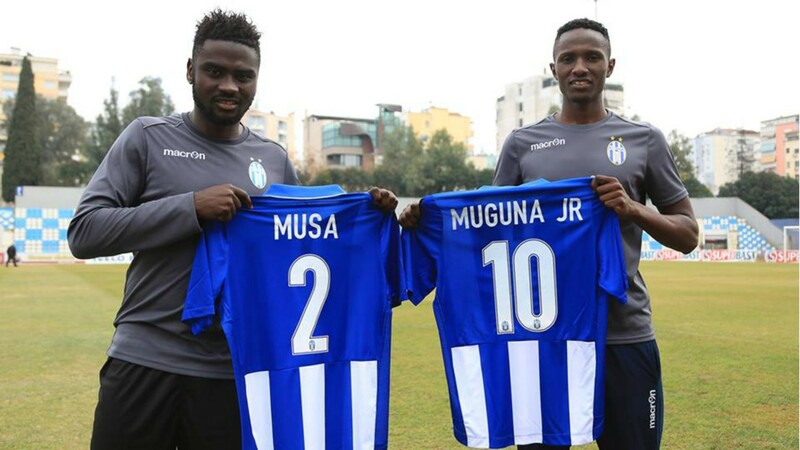 After struggling in Albania and eventually being rendered club-less, the two were heavily linked with a return to Gor but Musa opted for the Zambian league where he penned a contract with Nkana Red Devils but Muguna still remains club-less . Recently Musa had been reported as unhappy in the Zambian league and was linked with a return to Gor alongside Muguna amid reports that Kerr had turned them down citing depth in his team. However, the Briton has denied slamming the door on his former players and insists that they were welcome to rejoin his camp. He heavily criticised the author of the article which reported that there was no room for the two Kenyan internationals for being unprofessional. Kerr further said the article had ignited rivalry with Musa as he no longer answers his calls. He also took issue with Muguna’s agent for demanding high sign on fee. 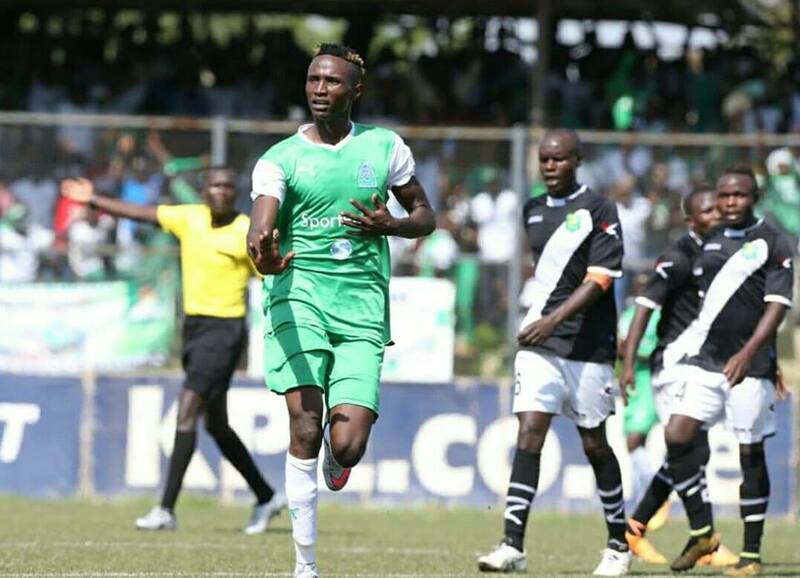 Kariobangi Sharks right winger Ovella Ochieng is one of the players on Gor Mahia’s tadar for the upcoming June transfer season. CEO Omondi Aduda confirmed that coach Kerr is interested in the player. Aduda further went on to say that the club is waiting for the first leg to conclude before focusing on transfers. “We are waiting for the first leg to conclude then we will meet the coach and his staff to discuss where we need to buy. All we want is to avoid making panic buys because, fans are asking or demanding that we strengthen.” he concluded. Ovella Ochieng was one of the most impressive players when Harambee Stars won the most recent CECAFA senior challenge cup, using his speed down the flanks to create chances and also cutting inside in a manner similar to Arjen Robben of Bayern Munich. Another player whom K’Ogalo could pursue is defender Musa Mohamed. The former skipper is in training camp with Harambee stars. Sofapaka owner Elly Kalekwa says he has also initiated talks with Musa. Footballer Karim Makbul has sued Kenya Premier League holders Gor Mahia for terminating his contract incommunicado at the end of 2017. The left-back was signed on January 12, 2017 from Jericho Allstars after elders of the club petitioned the champions to employ the services of at least one of their players since they hosted Gor Mahia at Camp Toyoyo. Despite Makbul penning a four-year deal with Gor under former coach Zi Maria Pereira, he never made the cut for 18 consecutive league matches and was consequently listed for a loan stint in June last year at Wazito , then Nakumatt but none materialised. “I boarded a bus to coast for trials at Mombasa Stima and I was told there’s no space. At Modern Coast, I was late according to the coach there,” he said. His contract indicates in article six that the club would terminate the contract in the case that he does not perform to the expectation of the club or he misbehaves. But testifying in Defence of Gor Mahia, team manager Ludovic Aduda intimated that the player has absconded training since January 2018 thus the club could not pay him. 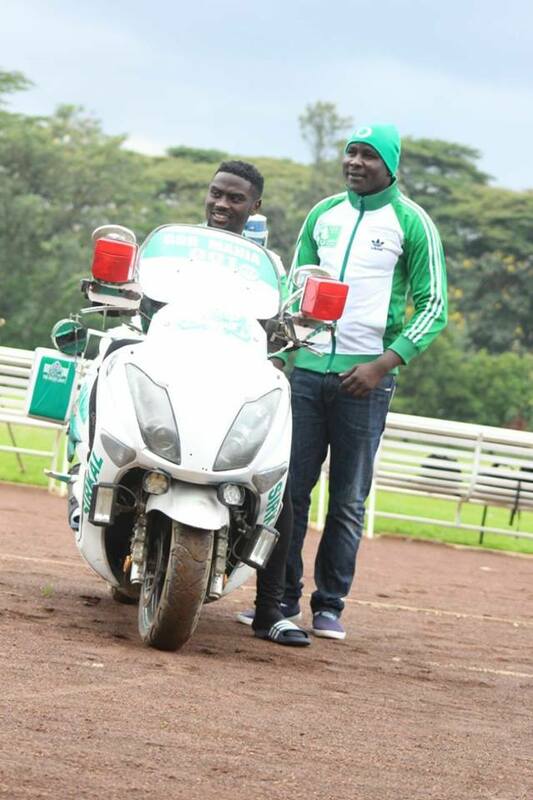 Gor Mahia captain Musa Mohamed is set to pursue other opportunities in either Turkey, Zambia or South Africa. The move comes at a time when Kevin Omondi with whom Musa has had personal issues, is returning to the club. Musa Mohammed has asked to leave Gor Mahia, in a development that is set to end the footballer’s nine-year association with the club. According to the club’s assistant secretary general Ronald Ngala, Mohammed, 26, walked into the club’s secretariat on Tuesday afternoon and informed the management that he isn’t keen on renewing his contract with the club. “He has told us that he wants to travel to Turkey and try find himself a club. 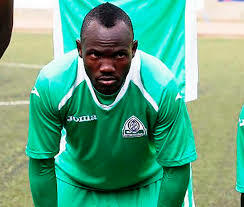 He is a free agent and so we couldn’t ask many questions on which club wants him over there,” Ngala told Nairobi News. “His contract is over since December. He had earlier indicated his willingness to renew it. When we saw him dithering on making a final decision, we moved to sign Charles Momanyi from (Kakamega) Homeboyz as cover,” Ngala said. 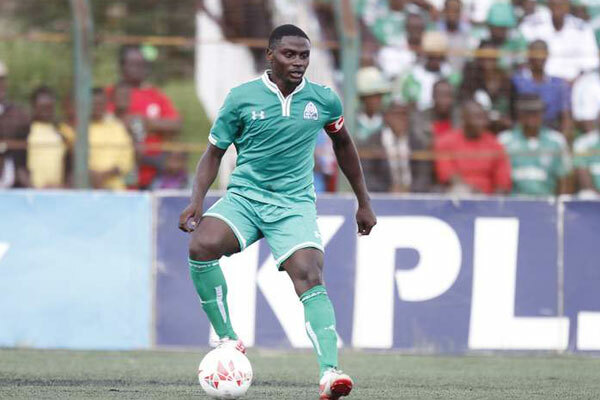 Mohammed, a younger sibling to star boxer Fatuma Zarika, has been a vital cog in Gor Mahia’s defence in the last six years or so, since he broke into the first team. He has made over 200 appearances for the club, winning three league titles. Over this period, he worked with several coaches, including Zedekiah Otieno, Anaba Awono, Zdravko Logarusic, Bobby Williamson, Frank Nutall, Ze Maria and currently Dylan Kerr. Mohammed, who captained the national football team to victory at the recent Cecafa Senior Challenge Cup, has in the past been linked with moves to South Africa and Zambia. Gor Mahia once again doinated the annual footballer of the year awards, winning 3 out of 7 individual awards. Gor Mahia forward Meddie Kagere was crowned the Sports Journalist Association of Kenya (SJAK) Most Valuable Player in an inaugural gala held on Monday in Nairobi. Kagere beat Kariobangi Sharks’ Masud Juma and compatriot Jacques Tuyisenge to the prestigious award that came with a 55-inch television screen courtesy of LG, a return ticket from Skyward Express, a DStv decoder and a gift hamper from Kenya Wine Agency Limited (KWAL). “Hard work pains but it pays. I thank my teammates who used to make me feel I can do it. 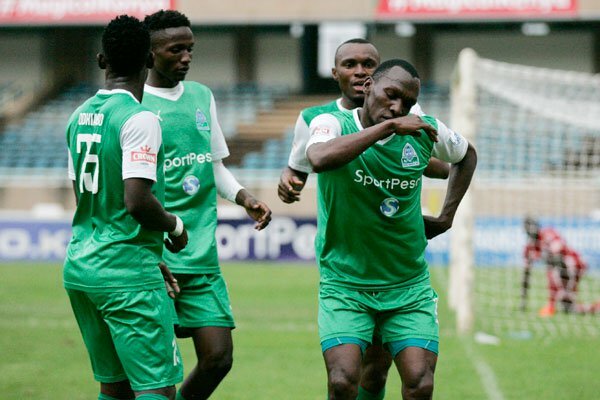 “I am excited and I thank the Gor staff, supporters and above all God,” an elated Kagere, who aided Gor to an unprecedented 16th title by scoring 13 goals, said. Kariobangi Sharks, who got promoted in the league this season, produced two winners: John Oyemba and Masud Juma in the goalkeeper and Golden boot categories. “I was aiming to be the top scorer and I knew I shall achieve it because I was working hard daily in training. “I am happy I did it. Now my aim is to play for bigger clubs outside Kenya in the near future,” Juma, whose two goals in the Cecafa Senior Challenge Cup helped Kenya clinch their seventh title Sunday, said. Other guests were Football Kenya Federation (FKF) president Nick Mwendwa and Sports Principal Secretary Peter Kaberia. “This is just a Launchpad, the next awards will be better,” SJAK president Chris Mbaisi said. Winners in each category went home with a 49-inch TV screen, a KWAL gift hamper, DStv decoder and a return Skyward Express ticket usable across the country only. Midfielder Kenneth Muguna, goalkeeper Boniface Oluoch and defender Musa Mohamed were the Kogalo players in action as Kenya put on what can at best be considered a sub par performance against Thailand. 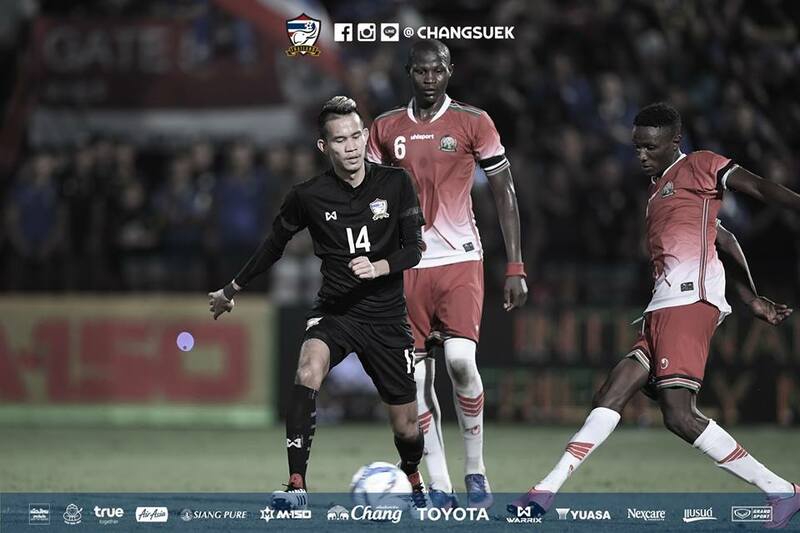 Context first: Thailand are at number 137 in the FIFA rankings, 49 places below Kenya. 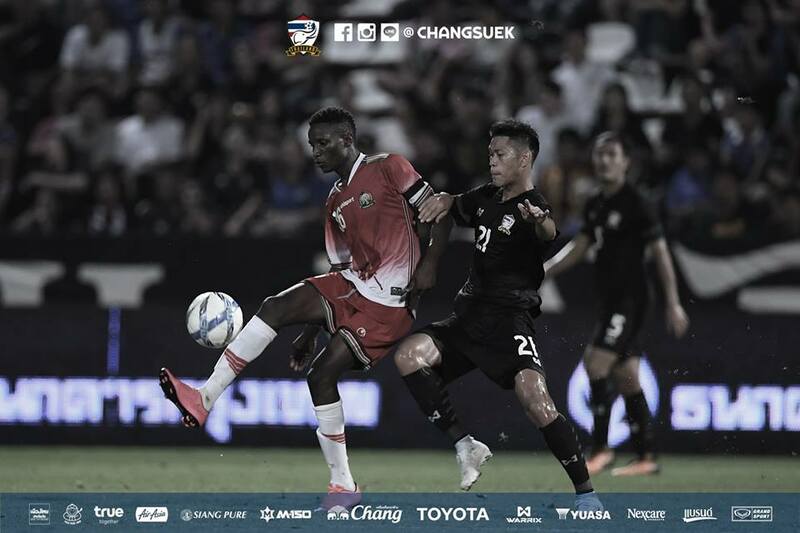 The entire Thai national team plays in the Thai league which cannot be considered to have a standard above the KPL. Kenya was thus expected to win . In the end it was Thailand who looked the better side. Though Kenya had more possession, they failed to create decent chances. Kenya are still unable to string together meaningful passes in the final third. As a result they try to score by playing hopeful crosses into the box or long passes. Muguna’s impact on the game was not significant at all. He did not play badly but neither did he impose himself on the game nor create any chances. None of this is his fault. The team lacked sufficient cohesion. Musa Mohamed was played at right back. He was solid and staved off the attacks that came on his wing. Boniface Oluoch was solid between the sticks and actually had to dive full length to pull off a number of saves. The goal he conceded was not his fault though he seemed to parry the ball right into the path of an oncoming attacker. Other former Kogalo players were in action as well. 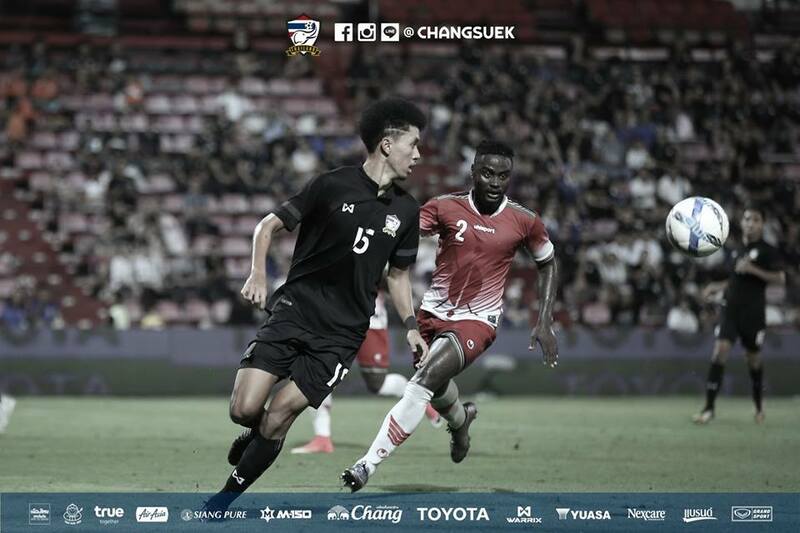 Michael Olunga came closest to scoring when in the first half he picked up a loose ball and unleashed one of his trademark rising shots which forced a spectacular save from the Thai keeper. In the 54th minute Kenya were awarded a free-kick on the edge of the box after Masoud Juma was fouled. Olunga took the resulting free-kick which was quite an embarrasment. His form was poor. He got underneath the ball and sent it several meters above the cross bar. He has clearly not been practising free-kicks during his time in Sweden, China and Spain. David Owino Calabar was solid in central defence. But was unable to start moves by linking up with his midfielders as is required of modern central defenders. The systems he is forced to play in and the quality of players around him are to blame. Left with no option, he resorts to bypassing the midfield by sending long balls to the forwards. And unlike Austin Oduor of yesteryear, his long balls are mostly fanciful. They rarely find their target. Anthony Akumu, the other former Kogalo player in the side was also solid if unspectacular. The Thai side are clearly better at stringing together passes in the final third. In fact the goal they scored came after their winger created an opening for himself on the right flank, sliced the ball to the central attacker whose shot was parried by Oluoch only for another attacker to pounce on the loose ball and score. 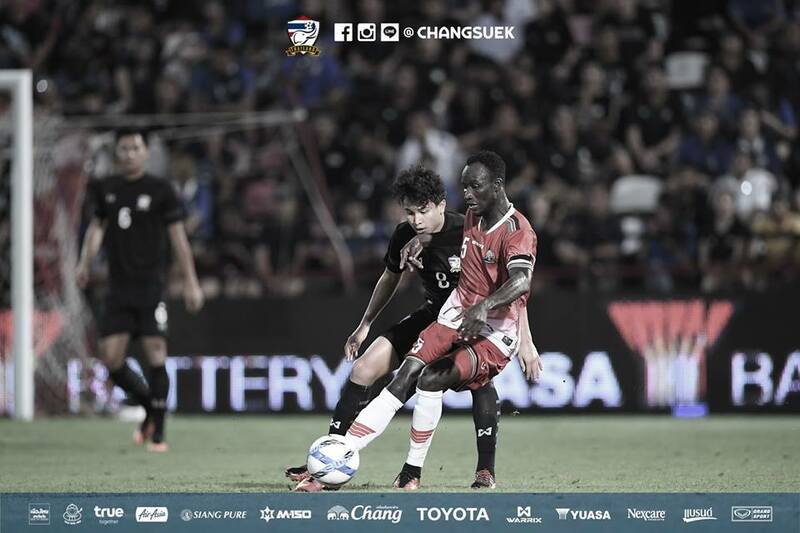 After they scored, the Thais fell back and allowed Kenya long spells of ball possession. However Kenya were once again let down by their poor coordination in the final third. As a result they created no meaningful chances. The only attempts at goal were a long range effort from Anthony Akumu which went well wide and Olunga’s shocking free-kick.